Dear Family and Friends; We trust that your summer is going well. We are doing well and have a lot to be thankful for. 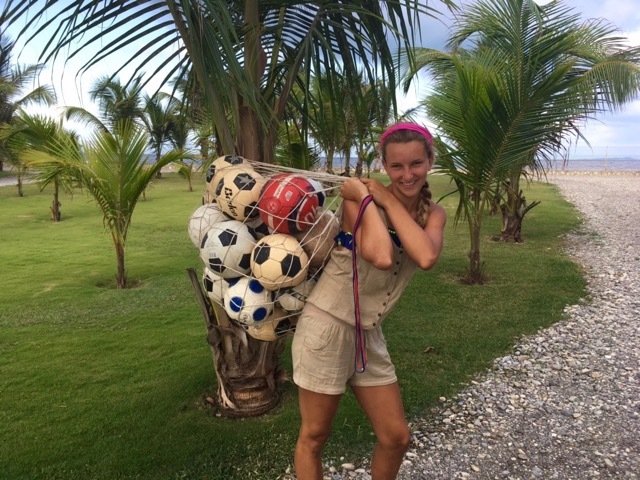 We were able to share soccer balls with many Haitians again this summer, thanks to you, who bring and send soccer balls to us each year. It was great that we were able to have several camps this summer, and this group of older campers was very interested in the sawmill. Due to the riots in Haiti our other 2018 teams have had to cancel, so that means quite a few kids won’t have the opportunity to come to camp this year. After camp there is a lot of work involved in getting everything cleaned and ready for the next camp. We are thankful that several of our “Angels” volleyball girls have become great workers and helpers for Deb. We are finding many beautiful trees of several species that fell down in hurricane Matthew, which are still in good condition. Mainly this is because the entire tree was uprooted and the roots now hold the fallen tree up off the ground. 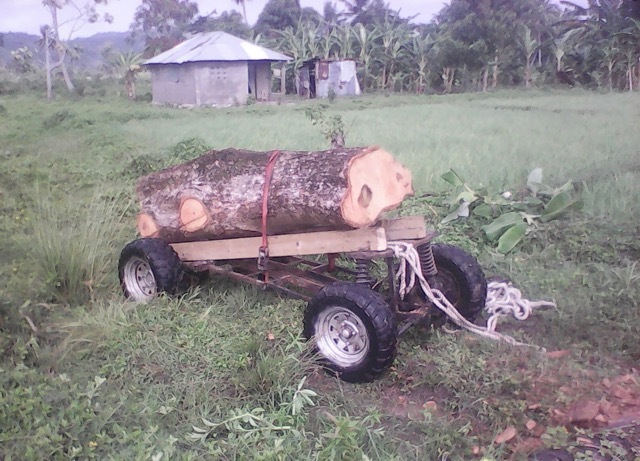 Mango, Mahogany, Almond and several other hardwood trees are in great condition. The problem is often getting to them, so I rebuilt our old battery powered U.T.V. 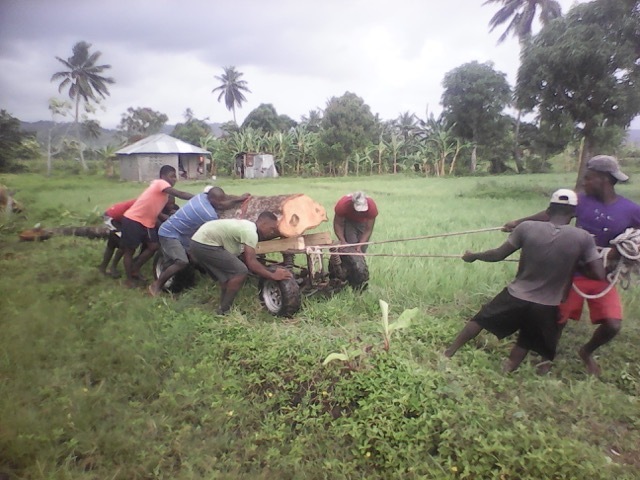 into a man powered skidder that we use to haul the logs out with. This is Julane. She is a widow who lives in the village near us and last week we were shocked to learn of the poor conditions that she was living in. 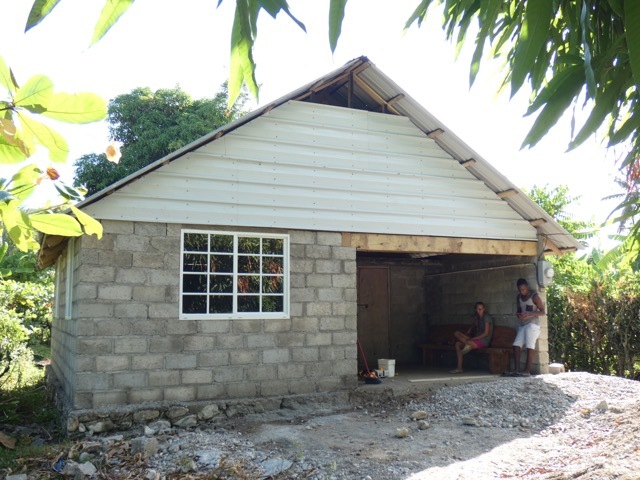 We quickly got to work and built a home on the small property up the road that the camp well is on. 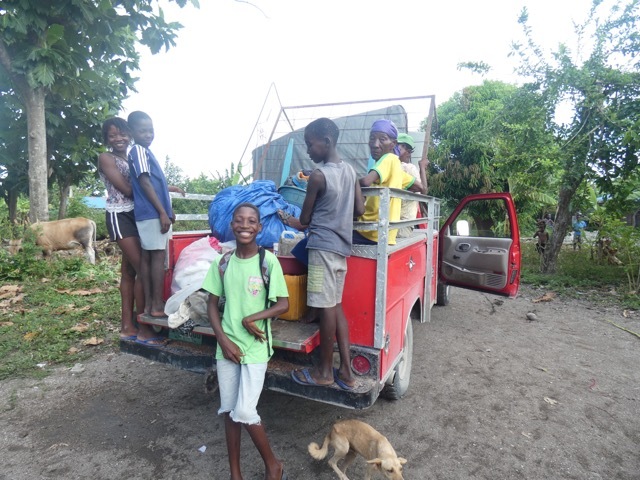 Deb, Katie and I were very shaken as we helped this widow and all the children she takes care of move to the new location. Their belongings were meager at best and we didn’t notice one food item in their possession. One trip with a half full truck was all it took. Wendy and Windja (the two oldest children) are in our volleyball / youth group and we see them every week, but we had no idea of the conditions in which they lived. We had a rental agreement written out and Julane signed with an “X”, but then she didn’t have the “widow’s mite” that she needed to pay the year’s rent. Thankfully Germain our friend was nearby and he gave Julane the 5 Gourde coin (about .10 cents) to cover the year’s rent. 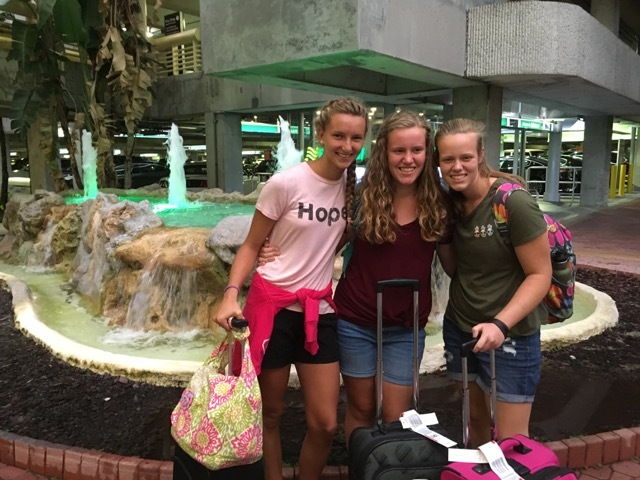 Yesterday, Deb and Katie traveled to Orlando where they are enjoying a week together with the Yordys. Katie has missed her friends since they moved back to Illinois in April, so this is a special opportunity for the girls to get together. We appreciate all the wonderful folks who pray for us so faithfully and in so many other ways support our ministry for the Christ of Christmas. There is no question that we couldn’t do what we are able to do without you all. So, I did want to share that, despite a few speed bumps, including some icy ones, Sam and I were able to arrive home about the same time as planned but by a different route. It appears that the airport of Charlotte in the Carolinas doesn’t handle a couple inches of snow all that well, so flights were very messed up. Fortunately, we were able to get on a standby list and get to Chicago in the evening. Karen had quickly arranged for us to rent a car and drive home. I had the easy first half, through Chicago and to the Michigan border. Sam took over and the weather and roads went south with many vehicles well ensconced in the ditches to remind us to go slowly. We thank the Lord that we made it home, our suitcases arriving the next evening via 3 different routes. We enjoyed the brief thaw that we had before the holidays, the roads were much better and we were thankful. It appears that the whole OR crew had the crud while we were there, despite the fact that we are all wearing masks, etc, and then Sam and his wife sequentially have inherited it, sorry to report. Thus, we are gearing up for the next several trips, including some major revisions to the 70 year old downstairs structure that will make the space more useable and friendly. We have been slowly making improvements over the years, but with the tile going in downstairs in February, it is the last chance for significant changes so as to be the most efficient with the improvement process. The Grifhorsts, Micah and a crew of 14 will go down with Jose Dominguez on the 5th of January, then another crew of 14 will go with me the end of the month to do final preparations for the tile, which will start the 3rd of February. My group will include 7 members of the TenHaaf clan, most of whom have made several trips with their older brother, plus a couple of nurses that work with me at both Georgetown and Sunset, so I would think the poor remaining souls will need special grace from above to put up with the rest of the rabble. So, pray for wisdom, protection and good progress for the 34 workers going in the first couple months of 2018. The hospital function is going well, but a special prayer request for our dear Pastor Lucio Juste. He is one of our two chaplains, a gentle, sweet man in his late 70s who I noticed several years ago when he was filling in for Pastor Rhony, who was the chaplain then. CSL USA hired him in addition to Pastor Zidor as we felt, correctly, that he would add a lot to our spiritual outreach. His wife came to see me in June with some vaginal bleeding and I tried to do a total hysterectomy as it looked like cancer. I have probably done well over a thousand hysterectomies and almost always have been able to remove it all, but she had to be the exception, just too much scar tissue to safely remove it all. She came back to see me this month and definitely has the cancer and it has progressed significantly. She seems to have given up and he seems very discouraged also. So, please pray for this dear couple who have served God for so long together as they face these difficult days together. Once again, thanks for your support for the work at CSL. We are back at work, the load has been considerable to the point that I have not had a chance to write an update. So, my apologies for being behind on the production of information. We are happy to be busy, but it appears that we have to work on multitasking better as we have all sorts of projects going on simultaneously. We started out with a rather bumpy trip from Grand Rapids to Chicago, causing some delay in our arrival. We went as fast as our little legs could carry us to the Miami bound plane but our baggage couldn’t keep up with us. The next section was bumpy at the start, then settled down pretty well the further south we went. The outbound plane was late coming from Costa Rica and needed servicing, then had some additional maintenance problems and we were over an hour late departing for Haiti. The good thing about being late was that it did give our luggage a chance to catch up with us. It obviously was the last loaded in Miami as it was the first off the plane in Port au Prince and we skipped out of the airport, almost. Unfortunately, the customs chief overrode the agent’s decision to let us go out and searched 4 of our 6 bags (the other two were out the door before they noticed, these were on the baggage cart). Every piece was removed and inspected, we had nothing that troubled them except some inhalers, which I was able to convince them were for personal use. However, they took the entire large cold pack with laboratory reagents and I was unable to convince them to give it back to me. It essentially means that our lab will not be very functional for months to come as these were the last of the reagents for our machines, which need replacement soon. Dr. William stopped by to get some supplies as he came home for Sunday only to see his family and us. He was on call on Saturday and Monday, so rode the bus each way so he could sleep en route both ways. He shared that he will not likely get the results of his big exam for a couple weeks, it was hand written by the surgeon examining them and he shared that, sometimes he had no idea of what the question was, let alone knowing how to answer it. He stated that the surgeon’s writing left a bit to be desired. Dan, of course, could not pass up the opportunity to opine that this was a bit of poetic justice, as Dr. William rivals me in his writing skills. William also shared that the government hospitals still do not have water, so one cannot scrub before surgery nor are the patients beds washed before the new patient takes over, a good way to spread infections which go like wildfire. He shared that the attending doctors, who do NOT really come and teach as they are supposed to, just having the older residents teaching the younger ones, scary, have no motivation to improve the system, as they hope that some of the poor patients will scrape up enough funds to pay for their care, rather than the socialized medicine system the government has installed. When I saw the prices for the private hospitals, it was a major eye opener, as some of the prices are higher than USA surgeon prices. A very discouraging situation. The trip to the hospital was decent and we were able to settle in, a bit discouraged with the loss of valuable equipment. After surgical clinic, Miss Lisberthe took Dr. Moise and I down to show us her masterpiece, the organization of the OR storage rooms. I was duly impressed, as was Dan later when we had to show him her hard work. 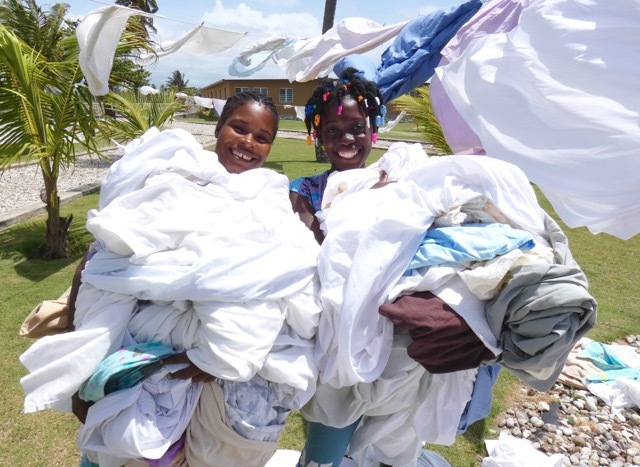 There is hope yet for some organizational skills for some Haitians. Definitely a major up bump. She has been most diligent in keeping us going, so far, we are averaging over 10 cases a day and working our staff to the max. There is no empty bed in the hospital at this point and we have tried to squeeze a few patients in nooks and crannies. Dan, Mark and Andrew are very busy as well, having had a bunch of new projects to try to complete. They are experimenting with making some prefab Windows and doors to help finish the employee’s houses that we are trying to get habitable. We originally had only planned to do repairs on the walls (some at interesting angles) and replacing the roofs, but due to the incredible inflation especially in our area due to the hurricane and loss of crops and livestock, we revised our plans and are putting doors and windows in so they can safely get back in their homes. 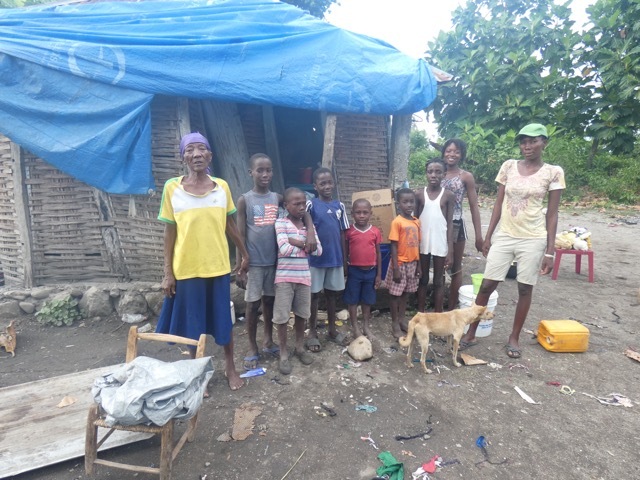 However, there again is a line of hopefuls who bring us requests to help build small houses for their families, often the whole family lives in a few hundred square foot house. It is hard to know how the Lord would have us show Christ’s love to the host of destitute folks around us here. We did stop at the mango stand about an hour out of Port au Prince and I have risked pushing the limits of my fruit ingestion. I have done well, but Mark lost a day of vomiting and diarrhea, he did recover quite well with the IVs we inserted into him to help him keep hydrated. Andrew struggled some today, has not let it slow him down much. We all have made “absolutely must be done” lists as well as “hopeful” lists to get done in the few hours that remain. We are thankful for all that we have been able to do and the measure of health we all have been able to enjoy. The speed bumps have been significant, but, by God’s grace, He has helped us go over them with minimal disruption of our lives and work schedules. Additionally, the new administrative situation seems to have radically improved the morale of our workers as well as our spiritual outreach. That is a huge encouragement and answer to many prayers. Wishing you a wonderful celebration of our Savior’s payment for our redemption and His resurrection. Please let me know if you can’t open the attached PDF file. We have had a busy, but great start to 2017. 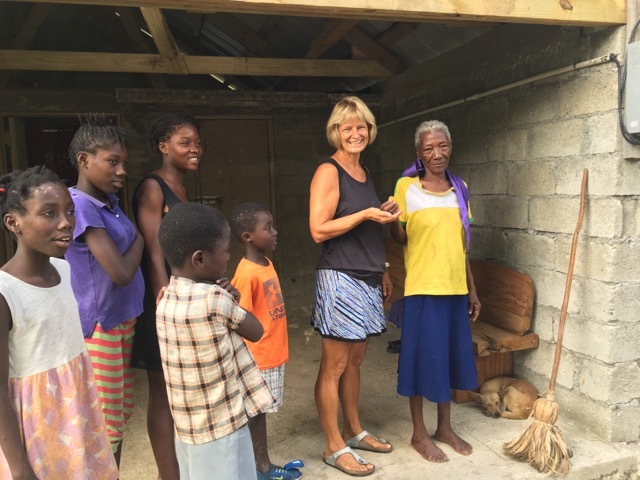 We have been amazed by the way you have responded since hurricane Matthew hit Haiti. Thank you so much! It’s been a privilege for us to distribute more than 600 buckets of love. As well as giving buckets and food to many people, we have been able to build a complete new wall along the Laquille river to protect Camp Mahanaim. The wall is 8 feet high and 3 feet thick at the base with baskets of rocks under it. We have also been doing weddings. When the dresses are washed and the sun isn’t shining, we hang the dresses in our house to dry. We did medical clinics last week with the Missouri medical team and they saw about 2800 people in one week. 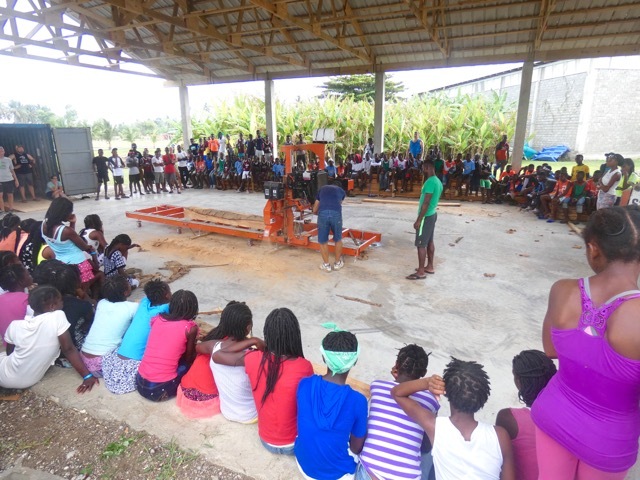 We also hosted our first camp back at Camp Mahanaim since the hurricane. It was a soccer camp. Katie turned 14 on Feb 5th. It is hard to believe that we have been in Haiti 14 years. Many of the young girls who have grown up in our Sunday School have now had babies and Deb takes special care of them all.